By now, every small business should realize they need a website. 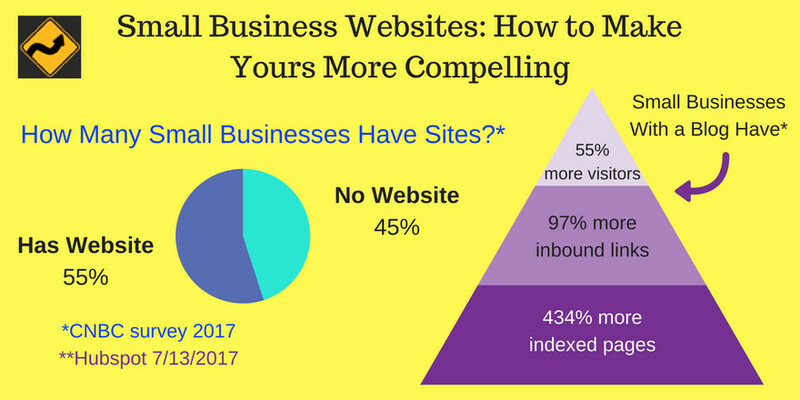 But according to CNBC, 45% of small businesses still don’t have a site in 2017. Even if you only have local clients, they should be able to easily find you online. But that doesn’t mean you should settle for a 1990s one-page business card style website. Do you want to build the site yourself using a website builder or have it built for you? Will you regularly publish new content? If yes, you need a site with a blog built in. Who will market it? Is that something you will do in-house or outsource? Creating the site is just the beginning. You also need to promote it. With the answers to the above questions in hand, consider the options available. There are many website builders available for the do-it-yourself inclined. But many small business owners are not into being creative or are busy running their company. They may want to consider a company that creates small business websites and also markets them. Or, they can hire a developer to create the site and a different agency to market it. Often, the website creator is also put on retainer to update it regularly, create backups, and assist with any technical issues. Content is typically created by writers or copywriters, although some site developers also create content. The reason you might hire one agency to build and market your site is that marketing agencies often have conversion optimization experts on staff. Developers who work with optimizers learn what design elements increase conversions. This is especially important for lead generation and ecommerce sites. The more you expect your site to accomplish, the more important the design and marketing are. It is critical to choose the right developer and marketers from the beginning. I recommend you get referrals from people who have actually worked with them, ideally from someone experienced in what they’re recommending. Many people sound like they know what they’re talking about or have great marketing, but are not very accomplished. Until you have worked on a project with someone, you won’t know how good or bad they are or if they communicate clearly. There are many DIY website building platforms. The best way to choose between them is to read reviews to get the real scoop on how good the support is. Look for reviewers in your niche if you have specialized requirements. They may reveal pros and cons you need to know. 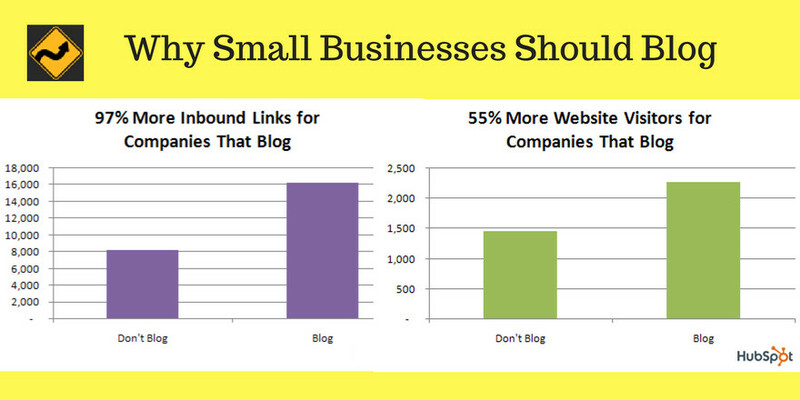 One of the best ways to attract incoming links to help your site rank in search engines is by blogging once a week. That is why a quarter of all websites are built on WordPress. If you want someone to install, host or maintain WordPress for you, contact us and we’ll recommend someone great. We can also teach you how to use WordPress, create custom images, and fill in the image and SEO fields. Self-hosted WordPress is an excellent choice if you are serious about regularly publishing content. Our influential-writers can create the content for you if you prefer. If you plan to have a large store with hundreds of products, you will want to consider using an e-commerce platform. Research carefully because which you choose can make a huge difference in how well your site ranks and converts. For small stores, you can use WordPress plugins like WooCommerce. Read our post Can You Run a Huge Store on WooCommerce for more information. Click image to see the original. Outstanding article. Great Information. Very very hard work. Thank You for this useful kind of information. Yours is what bloggers refer to as a “generic” comment. That means that you could put it in ANY blog post anywhere. Those kinds of comments will get your comments flagged as spam and deleted. Then you won’t be able to comment anywhere as most bloggers run Akismet and it will automatically block you. Good comments mention something specific to the post they are in and that does NOT mean putting the full title of the post in the comment. That is another way many comments get flagged as spam. Just read the post and say something that provides value to the others reading the comments. Building a website is important now in business. It is the newest form of advertising. You made outstanding point of customizing web design. Nowadays, there are many new bloggers and still they had fuzzy vision of their web fonts. Good things are there also web expert s sharing their skills for them. Thanks a lot for this quality article, I am facing some difficulties in creating a website, now I got some clear idea, the picturized explanation is really impressive and actionable.I am going to create my new website.I bookmarked your website for my reference.keep doing this great work. well google search sniper is very quickly index the post have the graph and these post are easily ranked in search engines. Good article about graph. As Mark said, it’s still a problem to convince many small businesses of the need for a website. And you rightly said that blogging is important too. So many people tell me that they don’t need a website to blog, as they have a Facebook page. Well, they may well have one, but it’s not theirs to keep. Neither is the content that they blog there. The best thing for us to do is just continue to benefit from our websites. Eventually, some will come to our websites (not Facebook pages) to hire us. Nathan Ambrose would love you to read ..Do you teach your new clients to fish? So true. I always tell people not to build their business on someone else’s land (like Facebook). Even if they don’t toss you out for no reason, few people will see what you post there. Trying to find any particular information again is so difficult. Facebook ads are about the only thing that works there – if you can target them well. I believe that using Facebook or Google Plus and giving up your own site is a mistake. Using free blogs you don’t control can also be a mistake. Some get deleted. Medium suddenly stop supporting some paying customers. StumbleUpon deleted years of content without warning and giving no opportunity to save it. Your own site is safest. Gail Gardner would love you to read ..Marketing With Instagram: It is Very Doable! This infographic is extremely helpful. I will be saving it and following it religiously. It’s got so many great ideas and tips. Thanks so much for the post. Patrick would love you to read ..What’s In A Name? Does Naming Your Portal Increase Intranet Adoption? Hi, Gail, you are doing an amazing job. I visit your blog regularly and I wish you never stop writing..
You did not leave the URL to your site in your comment, so I can’t visit it. Hi, Your blog really helps full & awesome scripted. To get more visitor & traffic you need the more online presence in the local business listing. Thanks for sharing several eye opening points Gail! for whatever reasons, still don’t have a website. sort of web presence, than not having one. Mark would love you to read ..How To Give Your Creative Entrepreneurial Ideas The Boost It Really Needs! Thank you for making the time to comment. Yes, it seems strange that the number of small businesses that still don’t have sites never seems to go down much. I didn’t make that infographic, but I did find it very useful.